Original collegiate brands Eastpak and New Era team up for AW17 taking Eastpak’s Wyoming backpack and New Era’s 59FIFTY cap to the field. 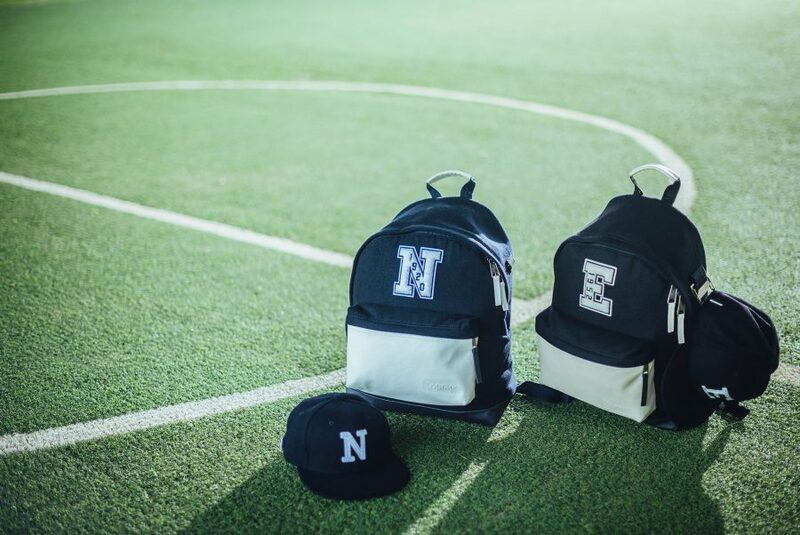 Reworking the brands’ sports heritage of Americana varsity, both the backpacks and caps are available in black and navy blue, trimmed with white buttery soft leather trimmings on smooth felt fabric, finished with iconic varsity chenille letters. The Eastpak X New Era collaboration also includes the classic Eastpak Padded Pak’r® backpack and Renana duffle bag alongside the New Era 9FORTY and 9FIFTY caps available in both colourways. This winning collection takes court from November 1st and will be available at ASOS.COM and Selfridges.com.